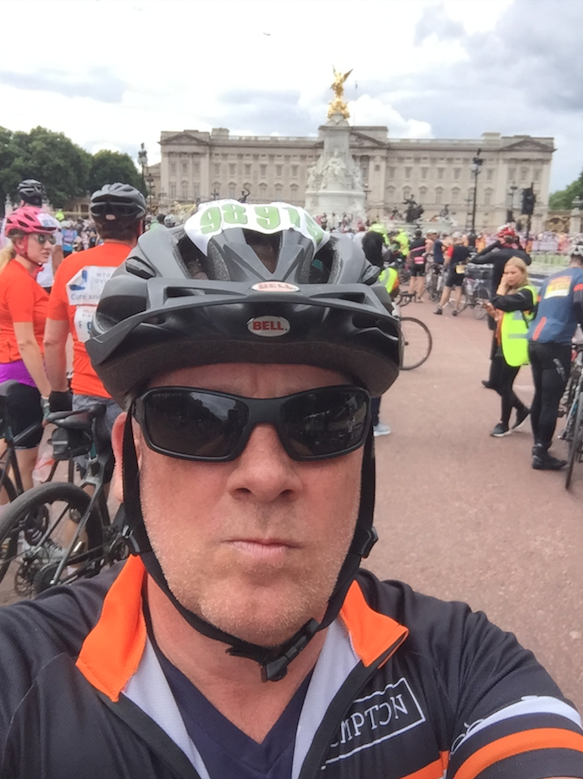 On Sunday, PowerStation’s co-founder Dave Collins rode his way to success in the highly challenging ‘Prudential RideLondon – Surry 46’ charity bike ride. 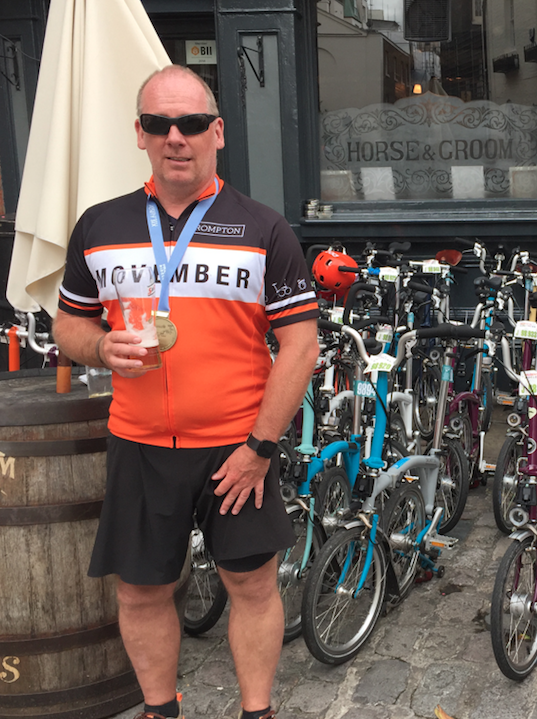 Armed with only a Brompton bike and a questionable amount of Lycra, Dave and his team set out to raise money and awareness for the Movember Foundation – a charity very close to the heart of all of us here at PowerStation. The aim of the Movember Foundation is simple – to stop men dying too young. The charity is the only charity tackling men’s health on a global scale, year-round. They address some of the biggest health issues face by men: prostate cancer, testicular cancer and mental health and suicide prevention. By 2030 they aim to reduce the number of men dying prematurely by 25%. Still jetlagged from an exciting PowerStation business trip in LA a couple of days earlier, Dave completed this forty-six mile challenge in an impressive three hours and two minutes, coming fourth out of his team of 40 riders (who were all competing for the Movember Foundation). Dave re-hydrating after his Prudential RideLondon-Surrey 46 success! Starting off at the Queen Elizabeth Olympic park in London, cyclists headed past Canary Wharf and through the City of London before cycling west along Piccadilly and the A4 at Hammersmith. Riders first crossed the River Thames at Chiswick and passed through Richmond Park and the heart of Kingston-upon-Thames, before crossing Hampton Court Bridge along the route made famous by both the road race and time-trial events during the London 2012 Olympic Games. 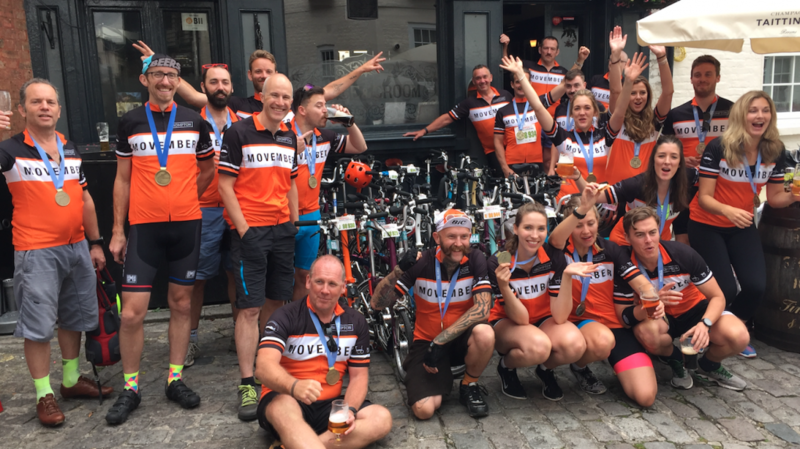 After heading south through Thames Ditton and Western Green the route turned to the east at the Scilly Isles, taking riders back into London through Kingston and over Putney Bridge to cross the River Thames for a final time. 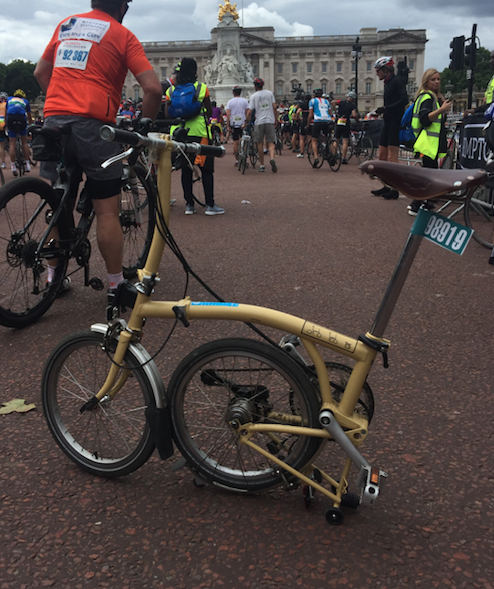 The route then followed the Embankment all the way alongside the Thames, heading past some of London’s most famous landmarks as it made its way across Parliament Square and up Whitehall. 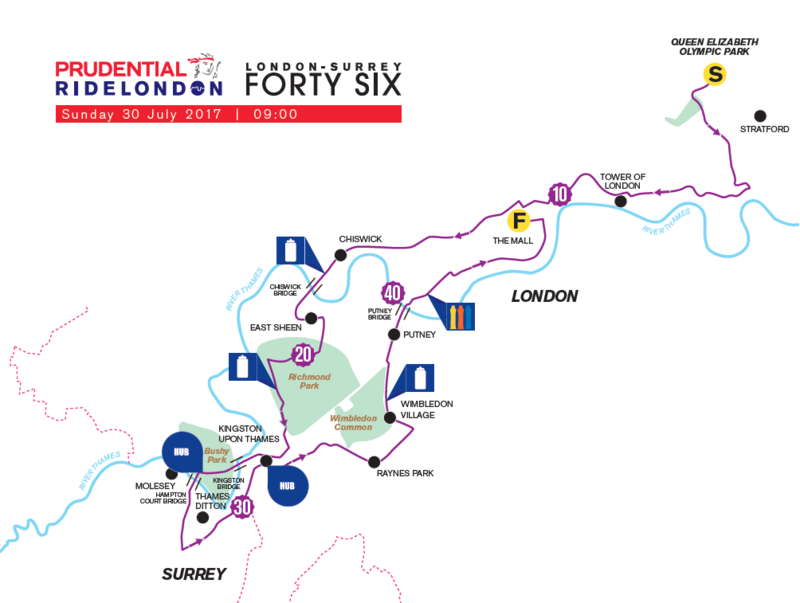 The route then swung left at Trafalgar Square, with riders streaming under Admiralty Arch before a spectacular finish on The Mall. Highlighting Dave’s commitment to the challenge, in the weeks leading up to the event he rode his tiny Brompton bike into the office every day – come rain or shine – never once complaining. Not only was this ride a gruelling physical feat but it also displayed the mental determination and endurance that Dave applies to everything he does. On behalf of PowerStation we’d like to congratulate you on this brilliant achievement, Dave – We’re looking forward to getting the whole studio involved in the ride next year – onwards an upwards!